Lemurs are perhaps the best known animals of Madagascar. They are distant relations to the monkeys and have always lived in the large African island. They have a vegetarian diet and mainly eat fruit or leaves. Some species are nocturnal, others are diurnal. They are generally social animals. 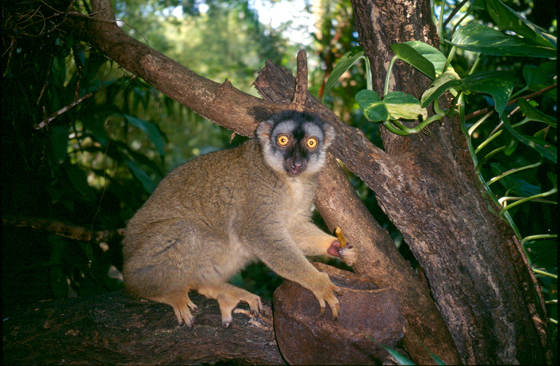 One of the now extinct lemurs was the Megaladapis, which could be as big as a gorilla.